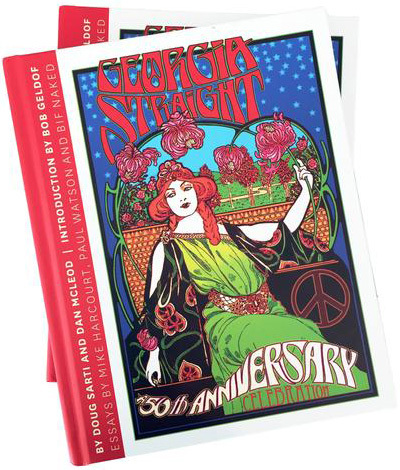 For the Georgia Straight’s 20th annual Best of Vancouver issue, our editorial team provides some insight into the irreverent details that make our city great. Here’s our contributors’ picks for Best of Vancouver 2015. While dining in the dark has enabled diners to experience what it’s like to be blind, a new Kitsilano eatery has offered foodies an opportunity to interact with deaf people. Deafined opened in May at 2340 West 4th Avenue, featuring a Middle Eastern menu (with everything from watermelon and grilled halloumi cheese to crusted steelhead trout) and a deaf wait staff. The menu includes instructions on how to order and communicate using sign language. Artist's rendering of Catfé, slated to open in October 2015. The idea behind the café is that it is a place where you can shop, eat, drink, and pet (and adopt) adorable rescue cats. Slated to open near the end of October, the idea for it is, of course, imported from Japan. Just try to take a huge bite of one of this Robson Street confectioner’s candy apples without losing some dental work. The RMCF offers “monster apples” with toppings like s’more (caramel, chocolate, marshmallows, and graham crackers) and rocky road (caramel, chocolate, chopped almonds, marshmallows). Your dentist will love you for it. Your personal trainer, not so much. A health-oriented company that specializes in yoga gear is perhaps the last one from which you’d anticipate buying an alcoholic beverage. But lululemon athletica offered just that by collaborating with Stanley Park Brewing. In July, the two companies released Curiosity Lager (which was only available for a limited time) for lululemon’s annual SeaWheeze Half-Marathon. It was designed for those craving a brew after a run on the seawall, so it’s unlikely yogis took to the beer while pretzeling on the mat. This small café across from the Broadway–City Hall Canada Line station offers Japanese-style breakfasts and other authentic Japanese dishes but, perhaps surprisingly, also gives its kitty-corner Starbucks neighbour a run for its money when it comes to its extensive coffee menu, including a dynamite caffe latte. The Red Truck Beer Company’s new Truck Stop Diner (295 East 1st Avenue, off Main Street) sure knows how to play to a theme. The “truck stop” offers ample parking, all-day breakfast, and a 1950s-factory, industrial-chic décor that includes high-top tables on rolling casters. Open the door to the restroom and you’ll think you made a wrong turn into the garage: the sinks are surrounded by heavy-duty tires with gas pump–style faucets. Don’t worry, it took us a minute to figure out how to turn the things on too. Street with a four-wheeled lunch counter that serves up, among other things, a seemingly corkscrewed whole potato—looking like an extended Slinky toy—deep-fried and skewered, then dusted with one or more of about a dozen flavoured salts. Its name? The Potato Tornado. One of the veterans, Andale’s Mexican Restaurant, long ago disappeared from West Broadway, but Poncho’s carries on 27 years after it was founded by Kaeta Vazquez. She and her staff continue to serve their famously flaming Mexican coffees after almost three decades in business. Honourable mention in this category goes to Las Margaritas on West 4th Avenue. Dan Rodriguez has owned this Kitsilano landmark for 21 years after buying it from the Salazar family in 1994. With increasing demand for hops from local craft brewers and more hopheads taking up home brewing themselves, why not grow your own? Potted hop plants were spotted for sale this summer at the Burnaby City Hall farmers market; even if you don’t plan to harvest them, the climbing vines add a nice thematic backdrop to a patio trellis as you sip your IPA. Bon's Off Broadway also has the best bathroom graffiti in the city. Look up greasy spoon in the dictionary and you’ll probably find an entry for Bon’s. Known for its $2.95 all-day breakfasts, the place is festooned with the kind of grimy charm that will have you scrambling to remember if your shots are up-to-date. That being said, if loving cheap eats at a place that’s covered in graffiti is wrong, then I don’t want to be right. Within four blocks of the Georgia Straight, there are five, count ’em, five Indian restaurants slugging it out for the stomachs of West Side diners. Next door is the elegant Maurya Indian Cuisine, which lures customers with a 10-percent discount for making reservations five hours in advance. Two blocks west, Atithi Indian Cuisine is offering $9 entrées with online takeout orders. A short distance to the west, Akbar’s Own serves tasty Mogul food. Then, of course, there’s the legendary Vij’s and Vij’s Rangoli in the South Granville area. Recently, the Vij’s Railway Express food truck was spotted on West Broadway between Maurya and Atithi, but this was for a private function and not for the purpose of putting anyone out of business. On the first Saturday in June, pedestrians flood Hastings Street in Burnaby for Hats Off Day, a customer-appreciation festival in which merchants “take their hats off” to the Burnaby Heights community. Amid a 10-block parade, fun run, and street festival, local restaurants offer some fantastic food at sidewalk stalls. This year, choices included charcoal-grilled sardines from Fortuna Bakery, arancini from Cioffi’s Meat Market & Deli, and flaky croissants from Chez Christophe Chocolaterie Patisserie. Prices really showed customer appreciation; for example, the elegant Pear Tree Restaurant served a beautiful halibut and orzo salad with pickled spring vegetables for just $5, dished up by Bocuse d’Or competitor chef Scott Jaeger himself. Hats off, indeed! Vancouver’s relentless condo sprawl can’t stop Umberto Menghi. In 2013, after 37 years of operation, Il Giardino closed when a real-estate developer purchased the land at 1382 Hornby Street. But last June, Menghi opened the brand-new Giardino Restaurant just steps away, at 1328 Hornby. The Italian chef hired back many of his original staff members, and diners can now enjoy his Tuscan cuisine—including the signature 38-ounce Porterhouse Fiorentina for two people—on an 80-seat enclosed patio at the back of the expansive restaurant. After all, it wouldn’t be Giardino without a garden. Ce Soir Noir turned Vancouver's CRAB Park into a sea of black. Planned as a tongue-in-cheek response to the exclusive Dîner en Blanc, for which attendees dress all in white, Ce Soir Noir’s open invite and public location made for a picturesque family-friendly picnic. Bubble artists entertained children while adults snuck wine and watched the sun set at CRAB Park—and all participants were encouraged to dress in black. Even Green Party candidate Pete Fry took part in the event, calling it a “great grassroots way of bringing the community together”. Bomber Brewing’s Park Life passion fruit ale is both easy to drink and packaged with the covert drinker in mind: not only is it incredibly refreshing, but the label can be peeled off to keep your drink of choice a secret.